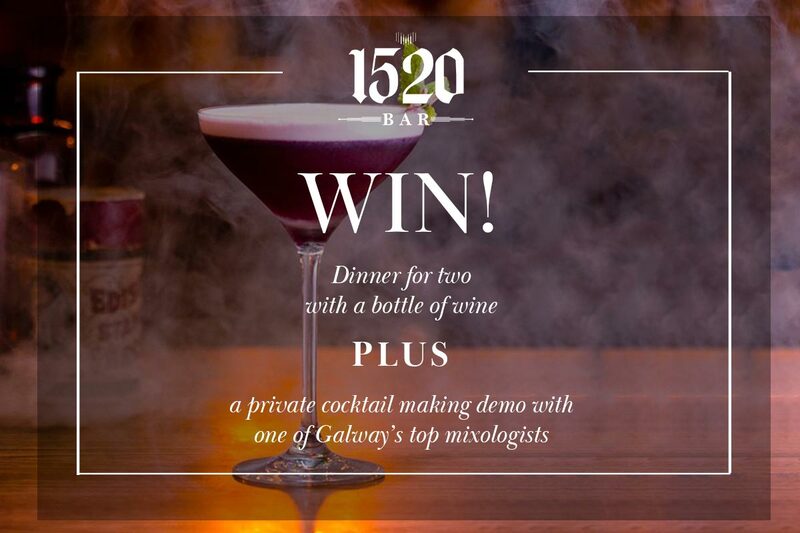 GALWAYnow have teamed up with 1520 Bar Galway to offer two lucky followers one FANTASTIC prize of Dinner for Two PLUS A Bottle of Wine PLUS a Private Cocktail Making Demonstration with one of Galway’s top mixologists where you will learn how to shake up some of 1520’s amazing new cocktails. Nestled in the heart of Quay Street in Galway’s Latin Quarter, steeped in Galway’s medieval history, 1520 specialise in craft cocktails and quality food using local produce. 1520 embraces all that is best about Galway, with a warm welcome to visiting guests and locals, great music with daily trad sessions from 6pm, house musicians from 10pm and some of Ireland’s top DJ’s playing until late every Friday and Saturday night. In order to be in with a chance to win, all you have to do is like our competition post on Facebook or Instagram and tag that one person you would like to wine and dine with at 1520 Bar Galway. One entry includes one like and one tag of competition post on Facebook/Instagram. Closing date for entries is midnight Sunday 10th February. The competition opens on 28th January 2019 and will close midnight 10th February 2019.